Provide comfort for the family of Tina Tullo with a meaningful gesture of sympathy. Tina Tullo passed away peacefully on Sunday, February 17, 2019 at Brighton Gardens Assisted Living in Mountainside, NJ. She was 92 years old. Born in Brooklyn, NY to Michael and Angelina Pantatello, Tina lived in Mt. Vernon, NY, Bronx, NY and Port Chester, NY before moving to Englewood, FL where she happily retired to the Tangerine Woods Community with the love of her life, her husband Gene, who she was married to for over 40 years. Tina graduated from Edison Vocational & Technical High School in Mt. Vernon, NY in 1944, where she was in the National Honor Society and received the English Regents Award. Mrs. Tullo worked for the Standard Oil Company, now known as Exxon Mobil, in New York City from 1944-1948 and for the Greenwich, CT Public Schools as a Library Aide from 1973-1983. Mrs. Tullo was involved in the Port Chester Newcomers Club for over 20 years and also dedicated her time to her children’s activities with the PTA and as a Boy Scout Den Mother. Her greatest passion of reading and library work was again commended with volunteer hours at the Elsie Quirk Library in Englewood, FL where her volunteer efforts raised over $20,000 through a grant from the Exxon Corporation. In recognition of her contribution as a volunteer, she was awarded the STAR Award in 2009 and on her 90th birthday, the library donated a memorial brick in her honor on the library grounds garden path for her 20 years of service. She served on the board of the Tangerine Woods Homeowners Association and was instrumental in the development of the library in the Tangerine Woods clubhouse that is still in existence today. She was a member of the B.P.O.E. of Englewood, the Italian American Club and the Exxon Annuitant’s Club of Venice, FL and a parishioner of St. Raphael’s Catholic Church of Englewood. Tina’s greatest joy was her husband and family and she took great pride in her Italian heritage. She had a great memory and loved telling stories about her childhood and life’s adventures. She was passionate about travel, reading, playing bridge and other card games, tennis and classic movies. She competitively played tennis for many years on the Tangerine Woods Tennis Team and was very proud of her medal which she won for her division as the Ladies Champion in the Mixed Doubles Category at the age of 86. Mrs. Tina Tullo was predeceased by the love of her life, husband Eugene Tullo in 1988 and by her parents Michael & Angelina Pantatello. She is survived by her siblings Marie Spinner, Joseph (Caroline) Pantatello and Ines (Armand) Tarantelli, and her four children - Sue (Tom) Devore, of Arvada, CO, Jeanne (Bob) Lamp, Norwalk, CT, Stephen (Diane) Tullo, Westfield, NJ and Loretta (Dan) Bowen, Millstone Twp, NJ. She is the beloved grandmother to 9 grandchildren and “GiGi” to her 8 great grandchildren as well as many nieces and nephews. Friends and family will gather from 2-4 pm & 7-9 pm Thursday, February 21, at the Dooley Colonial Funeral Home, 556 Westfield Avenue Westfield, NJ. Friends are invited to Tina’s Funeral Service at St. Paul’s Episcopal Church in Westfield on Friday, February 22nd at 11 am.. Interment will be at a later date in the Washington Crossing National Veterans Cemetery in Newton, PA. In lieu of flowers, donations can be made in Tina’s memory to the Elsie Quirk Library, Englewood, FL or Homeside Hospice, Clark, NJ. 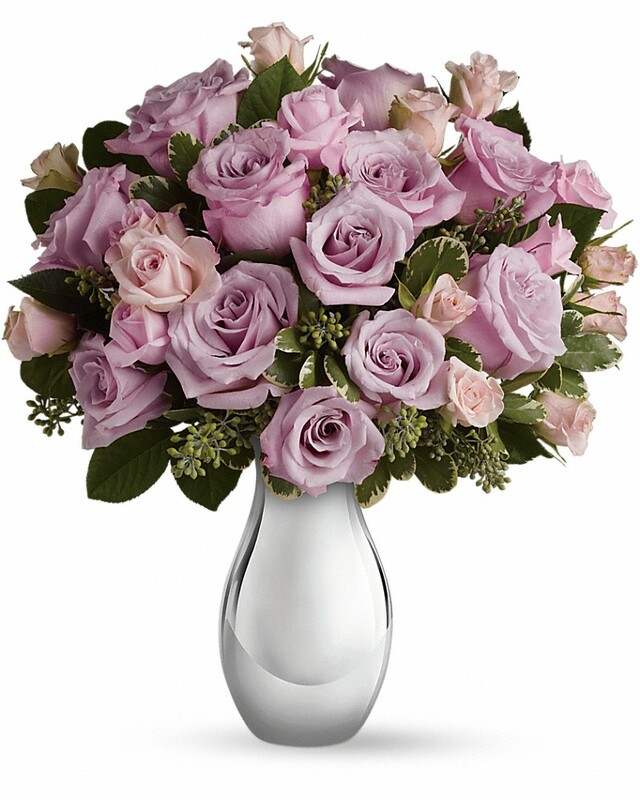 To send flowers in memory of Tina Tullo, please visit our Heartfelt Sympathies Store. Michael Paulson and Susanne Diedrich, Love ~ Linda, Joe, Rosemarie, Al, Donna & Louis, and others have sent flowers to the family of Tina Tullo. Awww....memories of formative junior and senior high school years being a friend with Sue and remaining to this day close "sisters." Mrs. T was always welcoming and would remind me on occasion of what was acceptable behavior! HAHAAAA! She was a wonderful mother to her natural born kiddos and to those of us who have been fortunate enough to be friends with the siblings. Will miss you Tina Tullo, so sad that your generation is shrinking, we all learned a lot from you. Memories of you will live forever in my heart. With love from your 1st grandchild and his girlfriend. Michael Paulson and Susanne Diedrich purchased flowers for the family of Tina Tullo. Our warmest condolences & prayers as you celebrate Aunt Tina's life. She will always be remembered by us all. 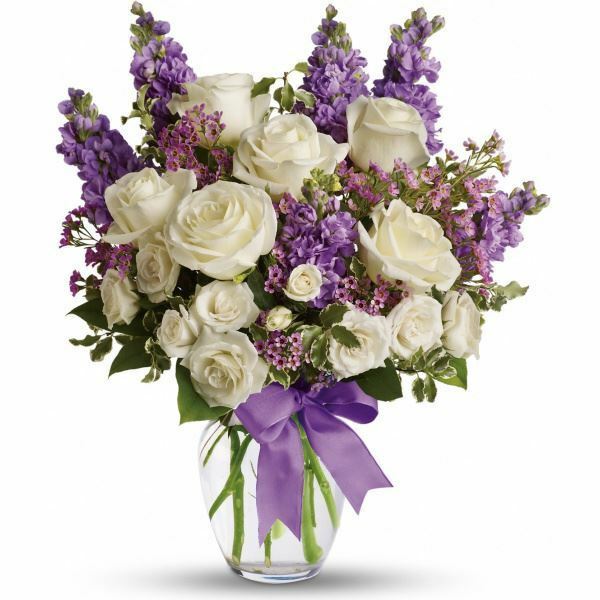 Love ~ Linda, Joe, Rosemarie, Al, Donna & Louis purchased flowers for the family of Tina Tullo.